Just over a month ago, OnePlus halted its 3 flagship smartphone sales in Europe and Hong Kong to “give inventory time to replenish.” Just as promised, sales are now reopened and you can order whatever your heart pleases without having to wait a shipment from China. There’s a slight catch, though. 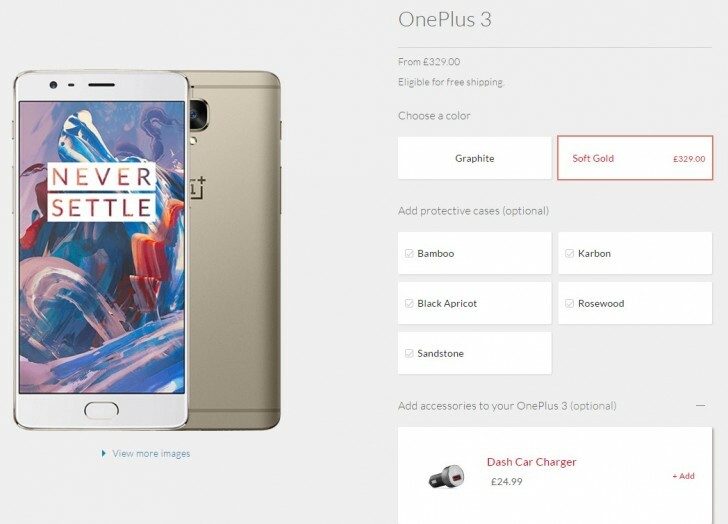 The Soft Gold version of the OnePlus 3 has an estimated availability of 3-4 weeks. And considering that it looks quite desirable, the shipping time might get a bit longer than this. If you’re considering a OnePlus 3 purchase, head over to our extensive review of the device to see if its worth the money.